With most sport, being well attired for the sport is a great way to start. Looking the part not only enhances safety, comfort and the overall experience but also makes you immediately look professional, lending you a great psychological win! 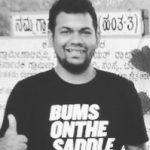 From experience, we’ve noticed that culturally, most Indian’s prefer to see some commitment to the activity, wait to get relatively decent at it and then start investing in apparel and other essentials. 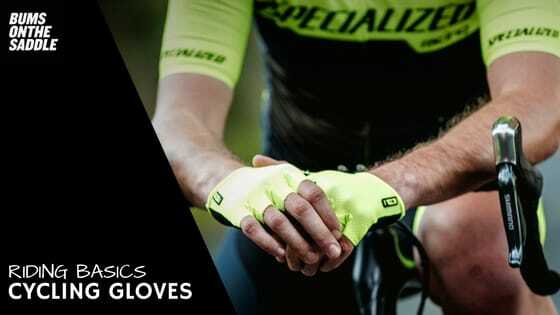 While there have always been interesting debates on the pros and cons of wearing cycling gloves we firmly believe that cycling gloves are an essential piece of your cycling kit along with padded cycling shorts, a lightweight sweat-wicking cycling jersey, a helmet, cycling shoes and good riding glasses. All these make your ride extremely comfortable and definitely make you want to ride even more. Here are our top 5 reasons to wear cycling gloves when you’re out on a ride! The Ulnar nerve is the largest unprotected nerve (so the injury is common) in the human body. This nerve is directly connected to some of the fingers and runs under the wrist. Since this is a superficial nerve, some form of padding on the wrist is important. Especially while riding a bicycle this area ends up being compressed with the constant gripping of the handlebar leading to numbness over time. Good gloves are anatomically designed and scientifically tested to ensure correct padding to prevent ulnar nerve compression. There is a good balance between the amount of padding in the glove and also ensuring you can feel the handlebar for proper control of the bicycle. This is one of the most important reasons to invest in good cycling specific gloves and not use motorcycle, gardening or gym gloves as their functions are different and don’t really help with cycling. Specialized is at the forefront in this region with doctors on board who are constantly working with cyclists to deliver safer palm protection via their either Specialized Body Geometry program. Bicycles also transmit vibrations to the body. The padded palms on the gloves cushion the vibrations passed on from the handlebar. Padding types (gel, foam, synthetic leather) and amounts (non-existent, minimal, high) of padding vary by brand and the experience being designed. Some riders prefer minimal padding to have a better road experience for extra control and some prefer higher levels of padding for higher levels of comfort. Gloves protect your palms in case you attempt to use them to break a fall. Scraped palms are not a biggie, but end up being painful as you use your hands for everything. Sticking your hands out in the case of a fall is by reflex and almost every cyclist learnt this the hard way – we have! Picking out gravel or tarmac bits post a crash from a scraped palm is not fun! Wearing a bicycle glove solves this as the gloves take the majority of the hit. Your body is an engine powering the ride and sweating is a great indication that your systems are doing well! Sweat management is important to ensure you don’t have salty sweat running into your eyes or making it uncomfortable or unsafe to ride. Gloves are great to wipe your brow or a snotty nose as you’re riding thru some beautiful countryside! Most good gloves are constructed with different materials with differing goals in mind. The back of the glove is well ventilated to enable sweat absorption, the bottom is of tougher material to protect your palms from a crash and the area near the thumb is made of an absorbent patch that you can use to wipe out seat from your brow/face/nose so that you can stay comfortable and sweat free without stopping your ride. Hands can also get slippery and sweaty on a ride! This can be tricky cause slippery palms can compromise control on the bike. Gloves absorb sweat and ensure you can grip handlebars confidently and ride the bicycle safety. Being safe while you’re out riding is extremely important. Contrast is a simple way of staying highly visible on the road. Always use hand signals while you’re amidst traffic – gloves help to add contrast to your body by adding color and reflectivity. You can use fluorescent gloves during the day and gloves with embedded reflective elements during the evenings and nights. Cycling is an extremely social sport and it’s important to look like a cyclist to quickly get assimilated into your local cycling community. Ensuring you’re well kitted out makes it a lot easier to get connected with new riding groups and also opens up conversations faster. Gloves allow you to accessorize and this adds a new dimension to cycling – looking good on the bike! Most cyclists get a lot of eyeballs on Indian roads, since this is such a new sport – might as well make those eyeballs pop by looking amazing. Match the gloves to your shoes, helmet, and bike and see if you can contrast it with your jersey and shorts! Always fun to land up at a ride looking like a million bucks. Many riders ignore gloves assuming it’s meant for pros. In reality, cycling gloves help every rider – beginners, commuters, the endurance junkie or the race machine. Not only do gloves add a level of safety and comfort by extra padding but they also help massively by preventing scraped palms in the case of a crash, in helping with sweat management without stopping your ride, adding an extra layer of visibility and also making you look like a million bucks on the bike.